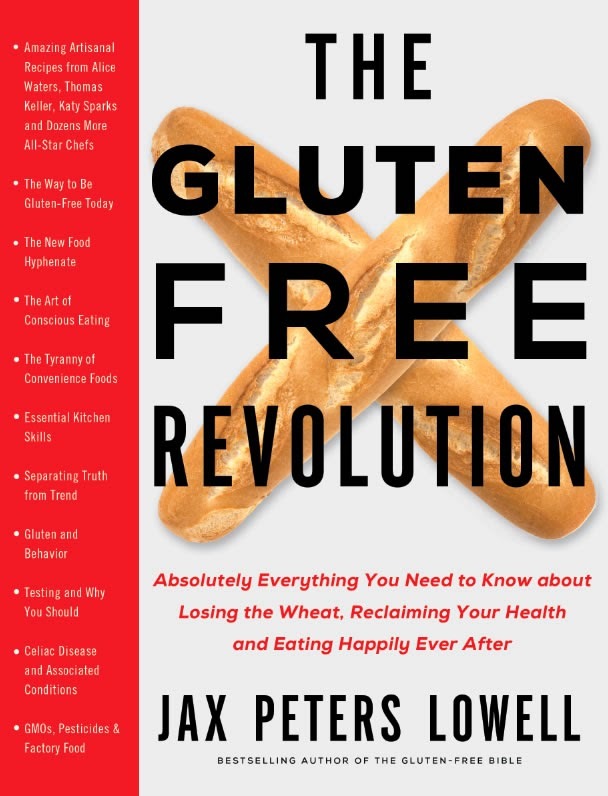 If Jax Peters Lowell's Against the Grain and The Gluten-Free Bible are the gluten-free community's Old Testament, then The Gluten-Free Revolution (Holt Paperbacks) completes the canon. Lowell, herself a Philadelphian, has tapped into the city's vast gluten-free resources in Revolution, the newest version of her handbook that's being readied for national release. Anthony J. DiMarino, M.D., co-director of the Celiac Center at Thomas Jefferson University Hospital, has penned the foreword, there are hometown valentines to Giorgio on Pine, Sweet Freedom Bakery, Taffets and Gluten Free Philly - and among the dozens of recipes is one for Pure Fare's French Toast Pineapple Upside-Down Cake. Gluten-free diet newcomers and veterans alike will be sure to learn something new from reading Lowell's breezy, humorous prose, as I did in my preview of an advance copy. Unlike others, her guide isn't capitalizing on the gluten-free diet trend; as someone with Celiac Disease, Lowell knows her subject matter first-hand. Completely revised and updated with the latest resources and information, the book has more than 600 pages covering all aspects of gluten-free living - from grocery shopping to strategies for eating out, from negotiating emotional reactions to the diet to cooking and baking using recipes from top chefs such as Thomas Keller, Rick Bayless, Alice Waters, Bobby Flay and Nigella Lawson. Lowell's guidebook, which will be released in early February, can be pre-ordered at Amazon.com in paperback and Kindle versions.